2018 chocolate brown all window Pflugerville TX solar screen installation. Here we show a chocolate fabric solar screen installation. These are 80% chocolate fabric solar screens. The three Windows there in a bottom are opening Windows. These are three windows that are made of vinyl. These solar screens got direct which of the outer edge of the vinyl window framing. The three Windows above are the same, play as well got direct screwed. Those are 2 quarter circle solar screens. We can make our solar screens to match the curvature of any type of window. 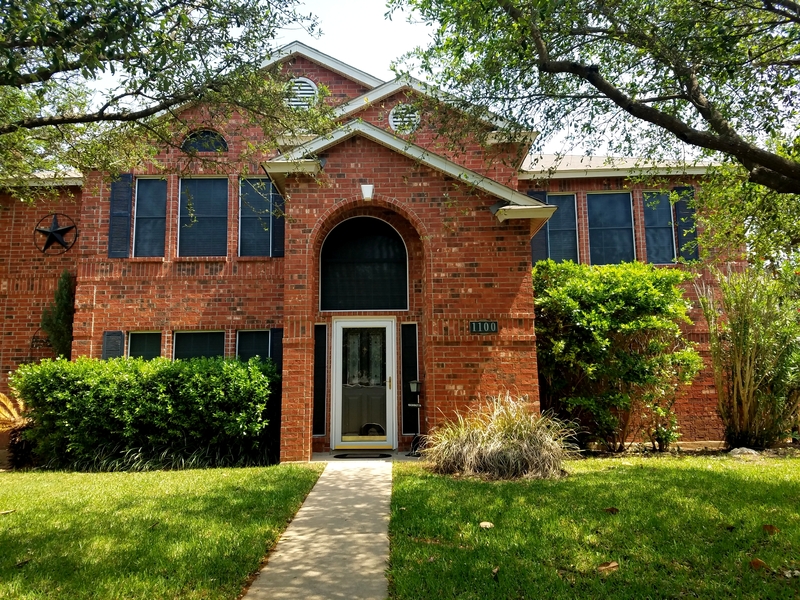 2018 red brick all window Round Rock solar screens installation. This a red brick home that we used our 80% black fabric with white frame solar screens for. At least this side of the home we used our 80% solar screens for. See how the customer shaded the arched Windows over the front door and the two sidelights to either side of the front door? Imagine what this home would look like without solar screens on those windows? Often homeowners ask us to leave those windows uncovered, windows around the front door. It just doesn’t look good when you don’t complete these windows. Shade them all. For the window over the front door that’s technically a rectangular window with a half circle. Because these do not open we were able to cheat it by building one large solar screen to fit over the both of them. By doing so it saved the homeowner in cost. 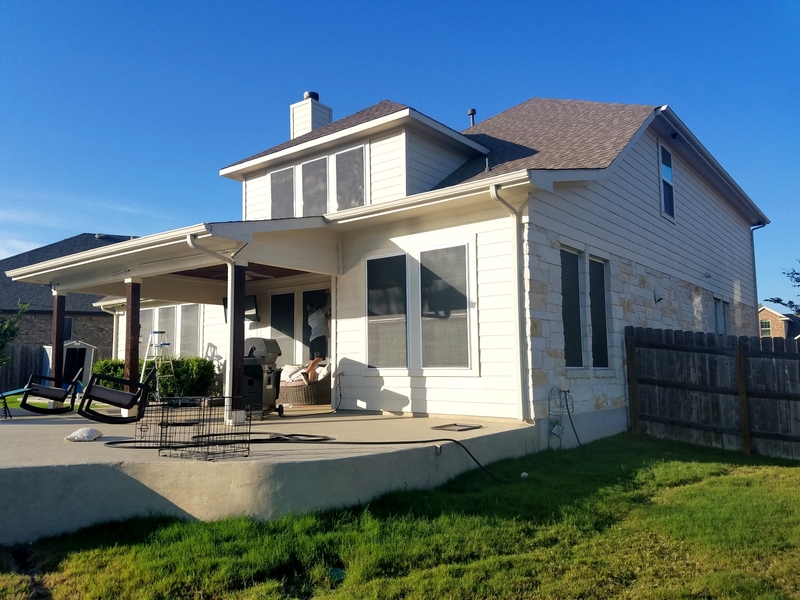 2018 all window black fabric Pflugerville TX solar screen installation. 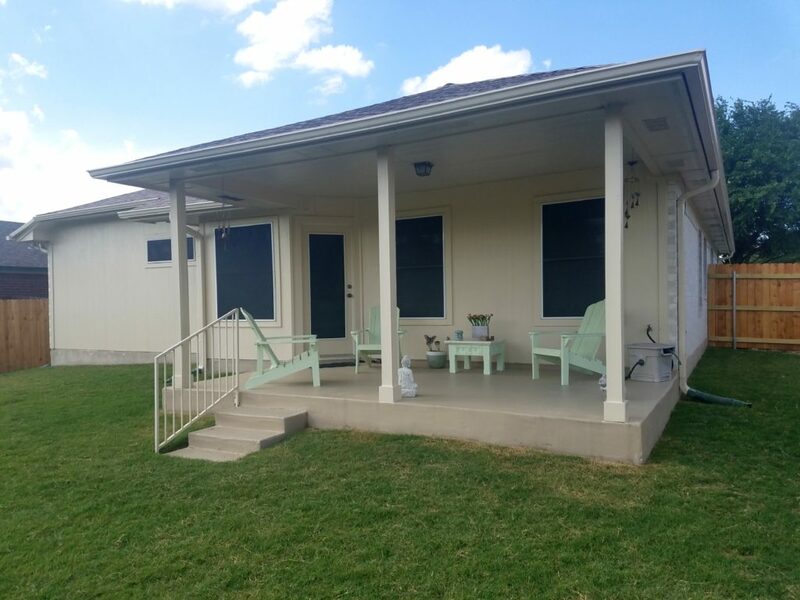 For this ONE STORY Pflugerville solar screens installation we installed a solar screen on all of the windows. a Total of 18 solar screens were used for this installation. We use a combination of the 80% and 90% fabrics. There to the left of that back door we used 90% and for the back door and the two under the patio we used the 80%. 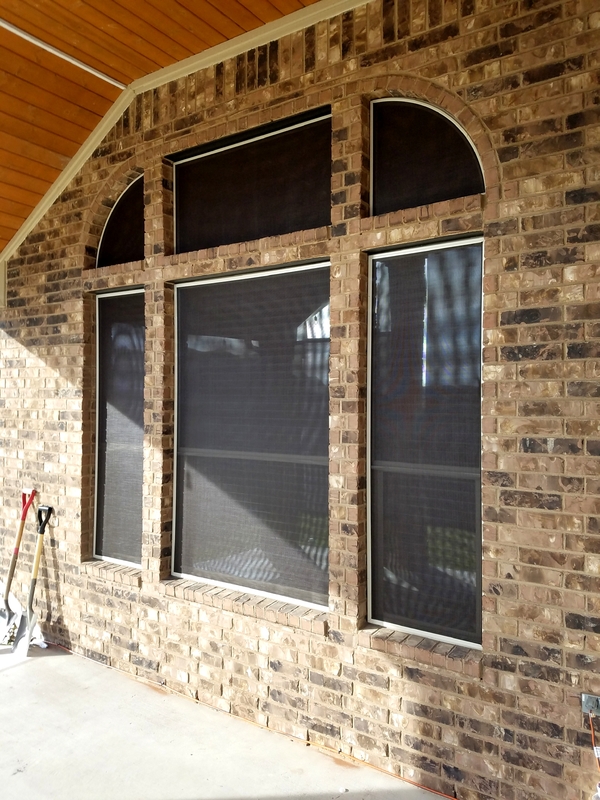 Shading a home in Pflugerville Texas with solar window screens. 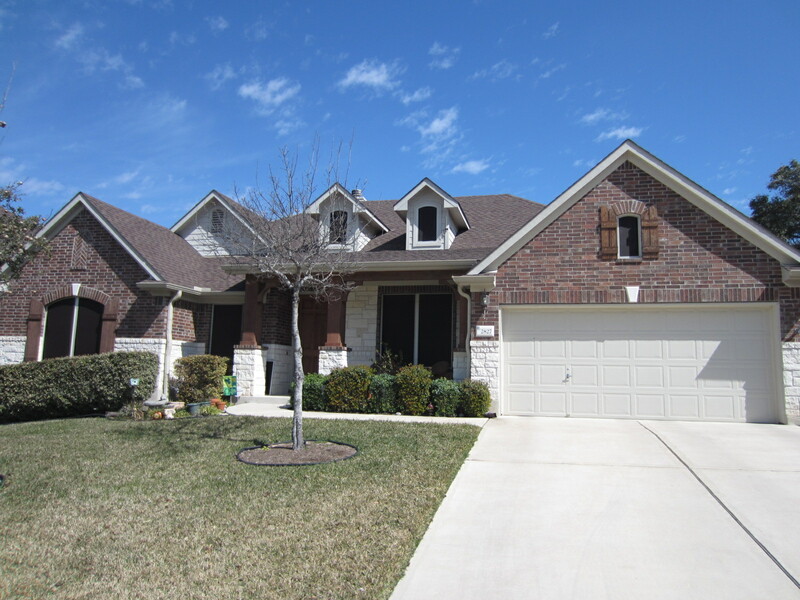 This is a home in Pflugerville Texas off of Rowe Lane. We put solar window screens on all the back windows of this home, and those two windows there on the left hand side. The reason they put the screens there on those windows on the left-hand side was that from that inside room they didn’t want those windows to be unshaded and the windows they’re on the back side for that same room to be shaded. So, they wanted all the windows for that room to equally be shaded so that it didn’t look odd while inside that room. It works for this home doing it this way. Traditionally I’m not a fan of putting screens on one side and not doing all the windows for that side. You can see there on the left side there are three other windows that did not get screens. Because he’s windows that got the screens are behind the fence, doesn’t look all that bad. That fence kind of separates those windows. The recommended way to shade your home. As a homeowner, you’re probably always looking for new ways to update your home and save money at the same time, right? Well, one options is adding solar screens, which are specific window treatments aimed to help keep the sun’s rays out without the need for things like blinds, curtains, shutters or shades. Not many homeowners are familiar with solar screens, but they should be since they’re amazing at diffusing the sun’s rays from entering your home, blocking any solar energy from heating the inside of your home. Additionally, as an outdoor shades option for your patio area, you want roller shades that provide temporary when needed shade. As pictured below. The back of this home is has installed TWO outdoor roller shades and THREE solar window screens. Ideal for areas like Austin TX where it gets super hot. Solar screens are perfect for regions with super hot summers since they reduce the need to continuously run your AC all day and night. This cost-effective option will drastically lower your electricity bills during the summer months when you need it most! These solar screens replace your current window screens to save you money and keep you cool. What makes them so special is the fact that they are constructed using a durable and dark screen fabric, usually one that’s polyester reinforced with vinyl for optimum coverage and privacy during the day. And even though they’re pretty dark to block out the sunlight, they won’t block your natural or natural light. Trapezoid Shaped solar screens for windows. Showing a perfect fit for these shapes of solar screens. Solar Screens will help your home stay considerably cooler. Obviously, you can simply use solar screens as a way to stay cool during the summer, but you can still run your AC on low to really help the screens work more efficiently, allowing you maximum comfort. And if you don’t want to do your entire home, you can easily just opt for replacing the windows that face east in your home with new solar screen since these rooms will get the most sunlight. So if you’re ready for solar screens for your home, you should call Solar Screens by Josh, Austin, TX! Josh is a reliable vendor in the area and has serviced countless homes with new solar screens! He not only has tons of experience, but can help you choose the right ones to use on your home and provides quality installation for every type of solar screens that you’re interested in. Nine solar screens were used for this Round Rock solar screen installation. We used chocolate fabric with the tan frame, made all of the solar screens out of the 90 percent fabric. Five of these solar screens that we built were arched windows. This customer was very hesitant and very leery with us using the tan frame around their chocolate fabric. 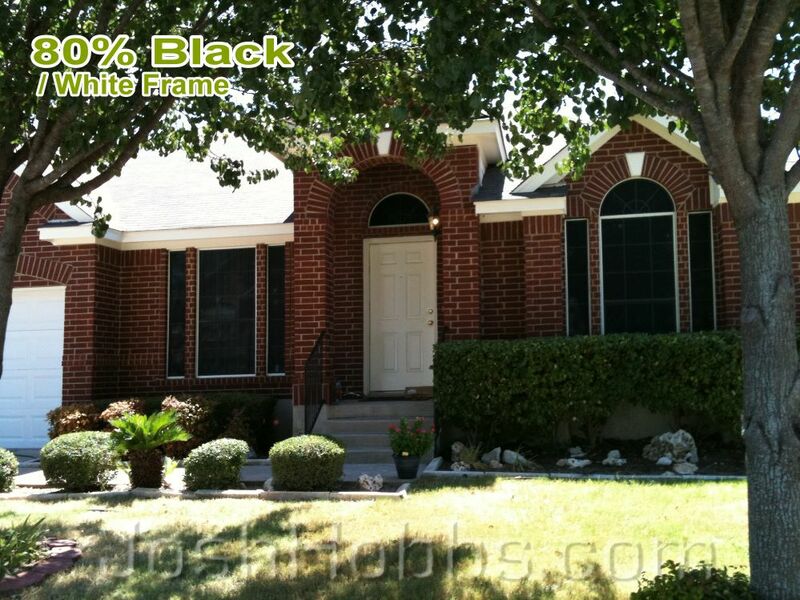 The home has a tan colored exterior, as you will see by the gutters as well as the trim of the home in these pictures. You will see that those are tan. However, you have the facial side of the home being painted white and you have white limestone. They already have a white and tan look to the home. The solar screens, using the tan frame on top of white window frame, worked very well. This customer was very leery of doing this. However, once we finished the installation, the customer was ecstatic. They were very happy with how it turned out. 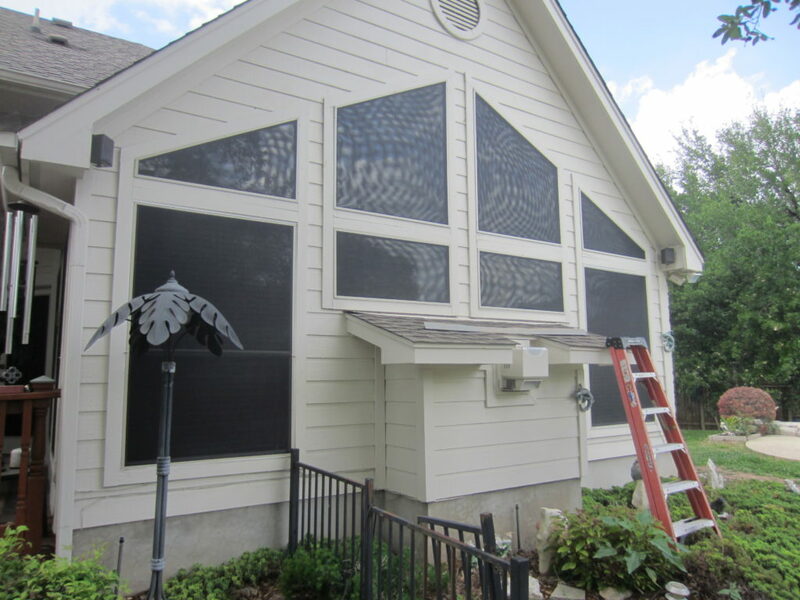 On Josh’s Solar Screen BLOG you can a lot more about solar screen projects like this. When you think of home staging you probably get the thoughts of furniture staging in your head. This is a crucial part of the business but, by no means the whole thing. When you hire a home stagger you are most likely trying to get your home in tip top shape so it sells well on the market. As a home staging business they understand this and want to provide additional services to you that will help you get your home sold even fast. After all you will become a repeat customer for them and they get your house sold quickly. It is a win-win scenario. Now you will have to contact your local home staging company to inquire about this but, some businesses are also working on improving the outside of the home. You may have heard of “curb appeal” before. Well this is all about the buyers first impression as he or she walks up the driveway. This is a crucial step because a house that looks great on the inside will be difficult to sell if the outside is rundown and dreary. These kinds of updates are usually minor. They often involve landscaping and improving of the front of the house. When you look at your back patio you may just see a concrete slab with some grass. If it is left like that, then the buyer will get the same impression. On the other hand a home stager will see this space as prime real-estate and a new room for the buyers to enjoy. 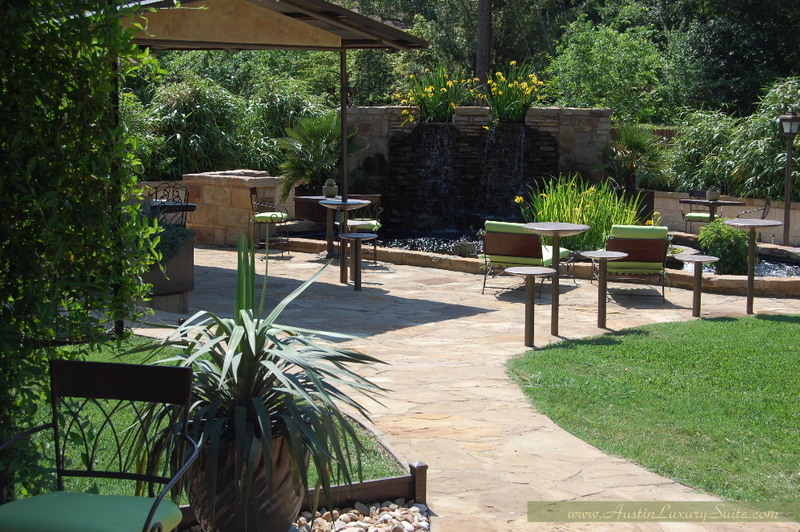 One common practice is to place an outdoor patio set with an umbrella and a barbecue outdoors. Especially when the patio leads off the kitchen, this outdoor furniture tricks in the eye into seeing a larger house even though you have not changed the dimensions of the wall. If you live in a place like Austin, Texas this is even more important of a selling point. Many buyers want to create a home where they can relax in the warm summers and enjoy spending time with the family. An outdoors space is a great spot for it. When it comes to home staging the number one rule is to allow the buyer to see him or herself living in that home before they leave. You only have a few minutes to capture the hearts of the buyer. Through proper furnishing you can turn an ordinary house into a warm, welcoming place the new buyer can call home. When shopping around for a vacation home there are many ways to find a good deal. The first way to find a luxury Austin, TX vacation home rental is to contact the owner about available dates. For example, if you are looking for a last minute place to stay you may find that you can get a really good deal, below the asking price, for the days you plan to stay. If the room is not already rented, it would go unused and be almost a loss for the owner. The way he or she looks at it, some money is better than no money at all. However, this usually works with individuals and not corporations which heads into my next tip. Finding a beautiful vacation rental available by owner is the best way for you to find a bargain on the home. There are several reasons for this but, the first is very obvious. Individuals have lower fees to rent out a home. When you rent out a unit through a company there are monthly fees that go along with this service to allow for advertising and management of the unit. Not to mention the added percentage that a management company will take off of every rental. Naturally the owner passes this expense onto you, the renter. The second main reason for lower costs with individuals is to stay competitive. Professional marketing companies spend a lot of money and time advertising and it is hard for an individual to compete. They often will compensate by pricing their units at a lower price than a comparable unit owned by a complex. By being a thrifty shopper and doing a little research before booking you can snag a great deal on a unit that may hundreds of dollars more if it were owner by a large rental company. Many people decide they want to become an interior decorator because they love the idea of hanging beautiful pieces in a home and creating a finished product that everyone will love. What most people do not realize, is all the time and effort that must be put into decorating every space. After talking to several interior decorators I have found that they all agree on one thing. Each of them spends more than half their day doing research for clients. By research, I am referring to catalog browsing for different pieces. You may have not expected this when you first thought of interior decorating as a career but, let us be honest with ourselves; we all know that any client who hires an interior decorator is not interested in having the home filled with pieces that can be found at the local Walmart. One of the most important parts of being an interior decorator is creating a home that your clients will dream of. This involves coming up with ideas as well as bringing them together and logically presenting them to your client. This often means using designed software that creates 3D world for visualization purposes. However, the second part is to turn that vision into reality. This means physically shopping for work and purchasing every single piece of furniture and art that you have incorporated into your design. This can be easier said than done because many pieces are hard to find and can have a long shipping times. After you have completed research for a few customers your next jobs will be slightly easier since you already have a good idea of where to order from. In designing a space you will find that most pieces are relatively easy to get a hold of. That being said, most jobs will involve at least one major piece that is either handmade or having to be shipped from across the world. I do not know the exact reason for this but, my guess is that each space needs one unique item to draw the attention of the eyes when walking through the room. This one piece can easily set the tone for the entire space. You can think of it as the keystone piece of the entire room. After you bring it in the rest of the room will simply fall into place. All of a sudden you are going from a blank white canvas into a masterfully painted space. Kyle TX window shade screens. When you go to put solar window shade screens on your windows, especially if you’re putting them on the front of your home, you would want to put the shade screens on all of the windows. You do not want to exclude any windows, as the appearance will not be consistent and will not be at its best. 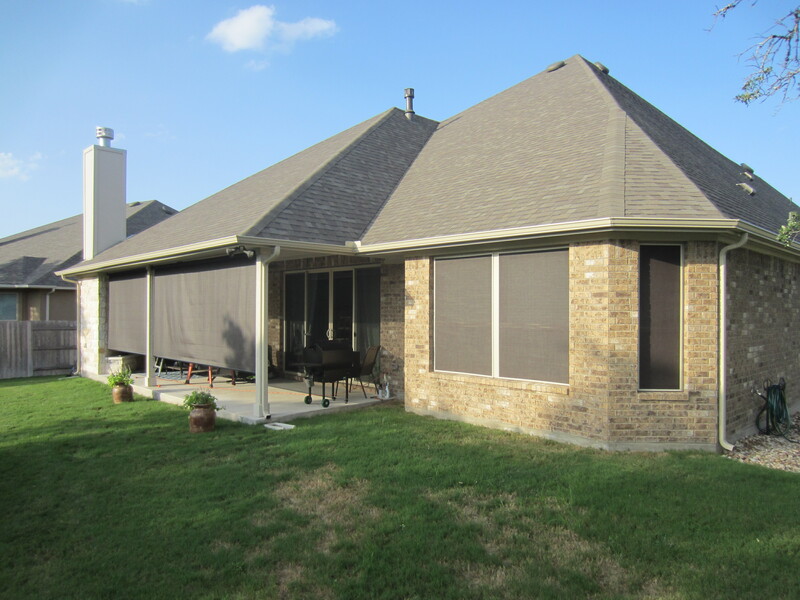 As illustrated in this Kyle, Texas home, via this Kyle, Texas window shade screens installation, this customer put the window shade screens on all of the front other windows. There on the right hand side of the picture, you have a culmination of four windows. You have two smaller windows, and then you’ve got a center window that opens and a half circle on top of that center window. Each window takes its own shade screens. Be sure when you do your estimating that you understand each window houses its own window shade screen. Many more of our Solar Screen Videos can watched here on our website. House staging is a very tedious and important staple in the home buying process. To correctly stage a home for sale, there are several bases to cover, such as landing the perfect home stager and knowing what feel is being executed to potential buyers. Is the home going to give off a contemporary vibe or be reminiscent of a cozy, country cottage? What areas of the home should be emphasized and enhanced to appeal to the buyer? What is the difference between a staged home and a non-staged home? When staging a home, it is all about how the property is going to appeal to the perfect buyer. It gives the potential homeowner a subconscious feel of what the home might be like with their own personal vision. When it comes to the art of home staging, first impressions are everything. The house staging process is one that recreates the home. It no longer represents the person who resides inside of it. It is vital to present the occupancy as a model, not as lived in. Within the last few years, the market presents a new steam of buyers who are anxious make their homes stand out among the rest, therefore opening a solid demand for professional home stagers. When looking around for a place to stay you will find it difficult to judge a place from the couple of internet pictures you see. While Austin’s best luxury hotel suite is one of the most elegant and affordable places you can stay, how would you ever know that? To be completely honest you wouldn’t before you visit. It is the same as renting an apartment but, at least with an apartment you have an option to tour before signing a lease. When you are looking at a vacation rental this luxury doesn’t exist. Often you are renting a place that is hundreds to thousands of miles away from where you live. Nobody has the time to check out a unit that is so far away. This is why the owners of the Austin Luxury Suite give you the option to take a tour by video. They understand that you can’t possibly know what the place looks like before you visit so they take every step possible to allow you make an informed decision before booking. They want your next trip to the capital of Texas to run as smoothly as you do and it all starts with choosing the correct rental for you. This video tour allows you to visually see every part of home from the full scale kitchen to the high end barbecue patio out back. This way you don’t run into any shocking surprises when you arrive. The last thing you want is to arrive at a place you booked and say, “Wow this looked much bigger from the picture online.” After touring the home you will see that the owners have nothing to hide. In fact they want you to see all the time and effort they have put into the home to confirm your next trip to Austin is your best vacation ever.